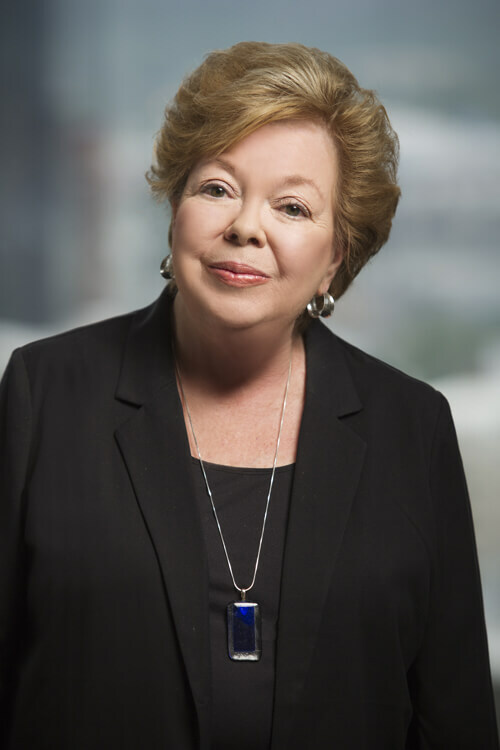 Ms. Anne Parker is an Of Counsel member in the Business Practice Group. She has extensive experience in all areas of municipal finance including bond counsel, underwriter’s counsel, issuer’s counsel, trustee’s counsel and borrower’s counsel. Ms. Parker has served as bond counsel for the Arkansas Development Finance Authority’s Economic Development Guaranty Bond Program as well as for the State of Arkansas General Obligation College Savings Bond Program. Extensive experience in all areas of municipal finance including bond counsel, underwriter’s counsel, issuer’s counsel, trustee’s counsel and borrower’s counsel. Extensive experience in secured real estate lending. Representation of cities, counties, state agencies, boards and commissions. Experience in legislative review, analysis and drafting in the areas of utility, municipal law and municipal finance law. Bond counsel for the Arkansas Development Finance Authority’s Economic Development Guaranty Bond Program 1987 to the present. Bond counsel for the State of Arkansas General Obligation College Savings Bond Program 1991 through 1998. Served as law clerk to U.S. Circuit Judge Richard Arnold, Eighth Circuit Court of Appeals, 1979-1981. Instructor in English, Louisiana State University, 1968-1971, Auburn University, 1973-1976.